A vegetarian taquito is a Mexican-inspired dish made from a small tortilla that usually has veggies and cheese at the center and is then rolled up. It's usually deep-fried from then on, but health enthusiasts usually try to get around this by baking them. Either way, they're a delicious meal day or night! 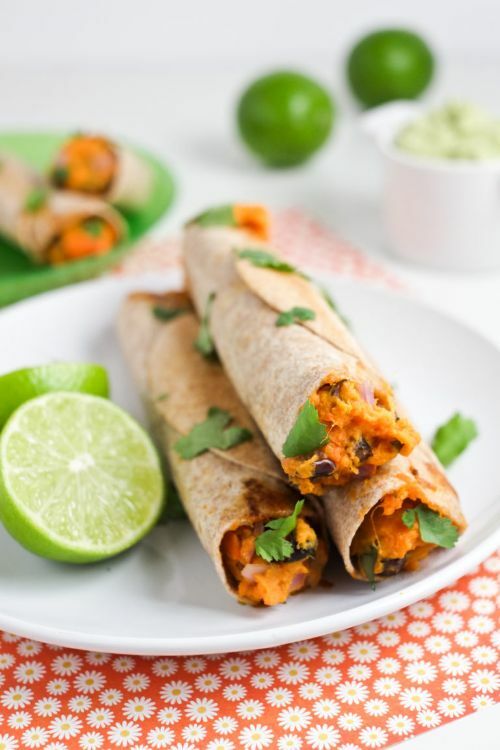 Here are 6 tasty veggie taquito recipes you can whip up fast in your kitchen. Have a Tex-Mex dinner and serve them alongside Mexican Rice and guacamole. What a super combination! The sweet and rustic flavor of sweet potatoes paired with the bold and hearty comfort of black beans. Mix it all up with a fresh avocado and lime dressing and what you have is delish! 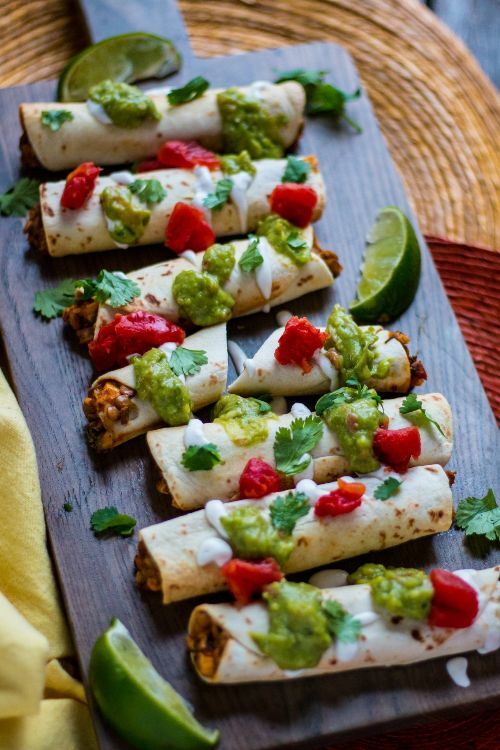 These are seriously the easiest vegetarian taquitos you’ll ever make! 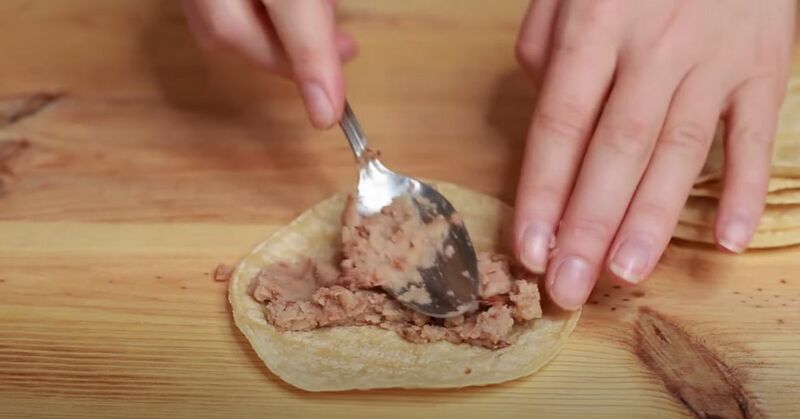 Just spread on store-bought beans(Just make sure they’re vegetarian), mix with the homemade taco seasoning, spread on the guacamole and sprinkle the cheese over the top. Roll ‘em and bake ‘em. Easy peasy! 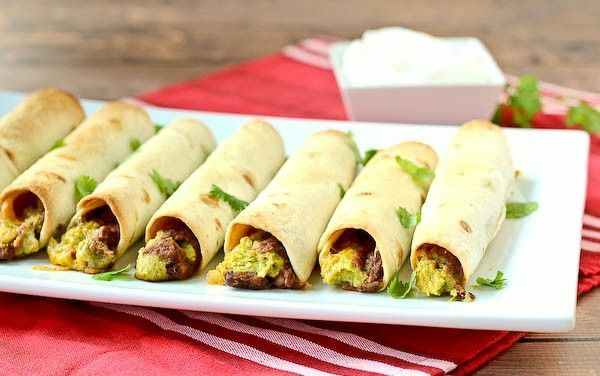 These taquitos are all you could ever want in a vegetarian recipe, especially if you love lentils and are always looking for a new way to enjoy them. If you like to live on the spicy side, you’ll love these even better. 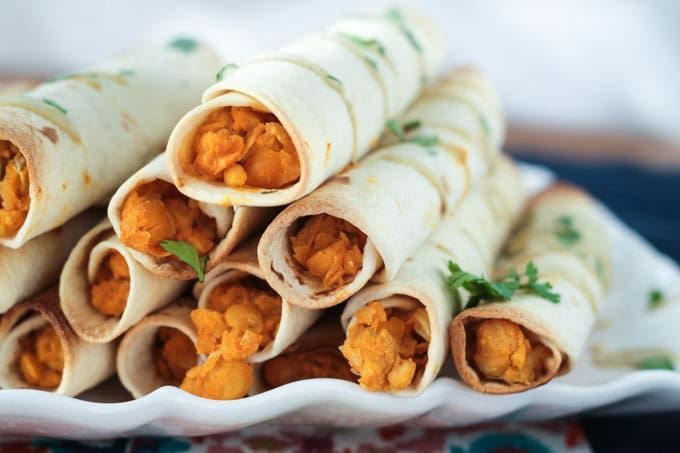 Imagine a taquito made from a creamy combination of mashed chickpeas, chopped artichokes, and a “cheesy” sauce made from butternut squash all topped with a Buffalo hot sauce. Guess what? You don’t have to imagine anymore. Here ya go! I don’t know about you, but I need dessert after all these delicious and savory taquitos. This one gets my vote! 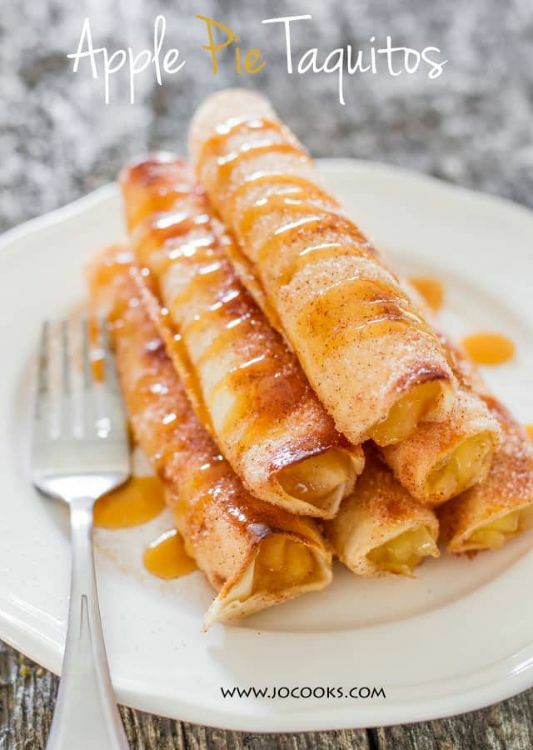 What could be better than apple pie in taquito form? These taquitos are the ultimate party food. These are baked but have all the crunch of a fried tortilla.